The 1985 Princeton varsity eight, successfully coached by Larry Gluckman. The other day, M. Evan Corcoran posted an eight-minute video, Just Row the Race, on YouTube of a famous 1985 Princeton University heavyweight crew in which Corcoran himself was a member. 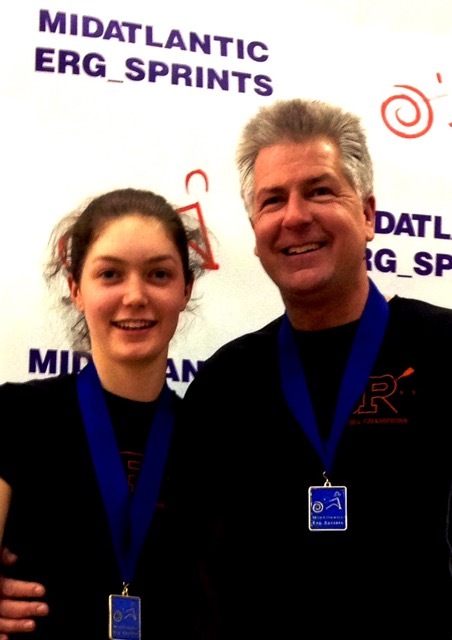 Evan Corcoran, here with his daughter, Beata, who is going in her father’s footsteps – or rowing in her father’s wake – having won Stotesbury Cup Regatta twice and the U.S. Rowing Club National Championships once. For decades Princeton crews tried to win the Intercollegiate Rowing Association (IRA) Championship. 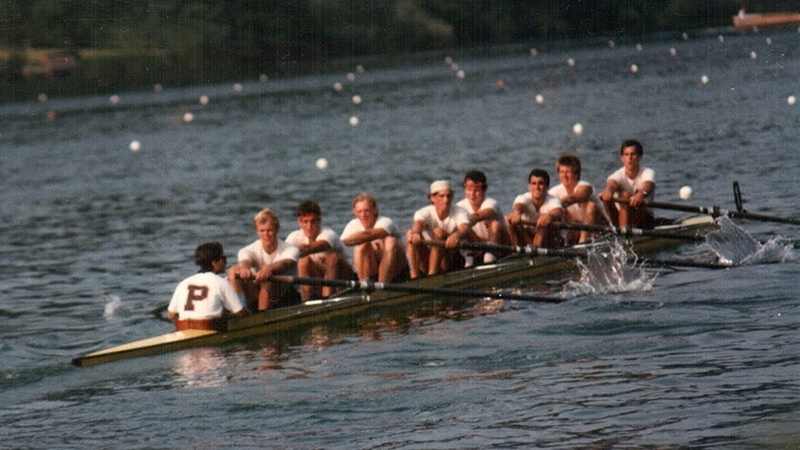 In mid-1980s, the young Princeton coach Larry Gluckman successfully mixed a group of experienced oarsmen: coxswain Joe Dougherty, Harold Backer, Dave Saxen and Doug Burden, with some ‘walk-ons’: Chris Penny, Bill Sheehan, Mike Vatis, Evan Corcoran and Greg Guyett, who had learned to row at Princeton. As the Princeton crew won the 1985 IRA at Syracuse – the first IRA win for Princeton ever – Gluckman took them to Henley Royal Regatta to race in the Grand Challenge Cup. The crew reached the final, but lost to a good Harvard crew, coached by Harry Parker. Not only did the Princeton crew go to Henley, they also went to the regatta in Lucerne, Switzerland, where they made it to the final on 14 July, racing against top international crews, including the Soviet Union, East Germany, West Germany, Great Britain (represented by a crew from University of London) and a fellow American eight from Oklahoma City. The Princeton boat came to the final via a repechage heat and was expected to finish dead last in the final. The crew was in the rear most of the final heat, being last at the 1,500 mark. 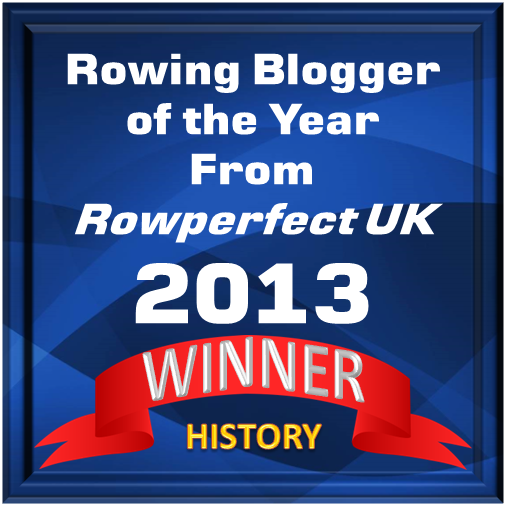 However, there the Princeton boat picked up speed and went through the Brits, West Germans and East Germans, rowing a tremendous race the last 500 metres. The Soviets won the race at 5 minutes, 40.34 seconds, followed by the Oklahomans at 5 minutes, 45.34 and Princeton at 5 minutes, 45.29 seconds, 26-hundredths of a second ahead of East Germany. The New York Times race report is here. Corcoran’s film on YouTube captures the dramatic 1985 Lucerne International Regatta final, where, in Corcoran words, ‘Princeton University’s varsity heavyweight crew reached its full potential’. The film also includes some of Coach Gluckman’s words of wisdom. In 2010, Corcoran published a story about the 1985 Princeton crew’s triumph, Wind on the Water. To read more about the book or to order it, click here.